The RAC04 dash cam records in 1080p Full HD and has a 1.5-inch TFT LCD screen for playback of video. 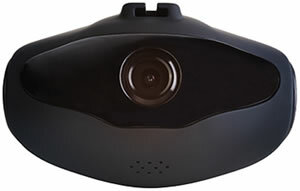 The recording angle of the dash cam device is 120 degrees and it has been enhanced for night time recording too. An 8GB microSD card is included in the box and it supports microSD cards up to 32GB in size. There is a photo mode and the battery lasts 20 minutes. 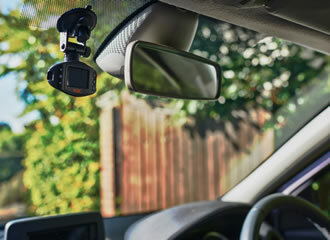 You can save £30 on RAC car insurance when you install and use the Dash Cam 04 in your vehicle. RAC04 Dash Cam dash cam has been discontinued. The RAC04 Dash Cam is an entry level dashboard camera. The recordings are made in Full 1080p quality. There is a 1.5-inch TFT LCD screen to playback video plus there is a built-in speaker. The sensor on the dash cam device is 1.3 megapixel. The recording angle of the RAC04 dash cam is 120 degrees. To record sound there is also a built-in microphone.Enhanced night vision is also included that makes good quality videos at night time. Recording with the RAC04 is done continuously in a loop mode so old video is recorded over when the SD card becomes full. Included in the box is a 8GB microSD Card and the dash cam device supports 32GB microSD Card. The videos are recorded in 3 minute segment lengths the length of which can be adjusted using the dashcams simple menu. An 'emergency record button' is also featured on the dash cam that when pressed saves the video you are currently recording and prevents it from being overwritten - this ensures you keep important videos. To buy an RAC dash cam with GPS tracking, speed camera alerts, parking mode, forward collision warning and lane departure then you should consider buying the RAC 05 dash cam instead. The RAC 05 also supports microSD cards up to 64GB in size. The RAC04 dash cam has a photo mode for taking photos. There is a battery in the RAC04 dash cam which will last 20 minutes. The dimension of the dash cam is 8 x 3.5 x 4.5cm. By installing an RAC04 dash cam in your vehicle you will qualify for a discount on RAC driving insurance. You will be able to save £30 on your driving insurance. Do you have a question about the RAC04 that's not been answered on this webpage? Please see our Dash Cam FAQ's for questions from other people. If the answer to your question isn't featured, use the online form to ask us for the answer. Alternatively please telephone 01733 777623 Monday to Friday (9:30am-5:00pm) to speak to one of our sales team. 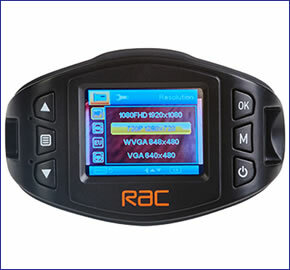 The RAC04 has a car charger to power the in car camera device. 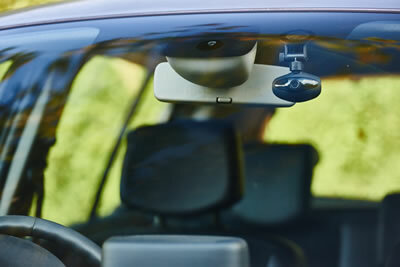 A windscreen mounting bracket is also provided. The mount allows you to turn the device 360 degrees.